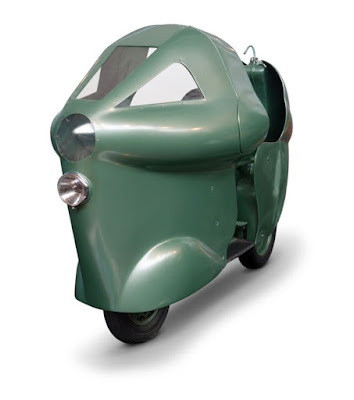 Have you ever seen this scooter before? If you have never. Indeed, this scooter is rarely or will never be seen wandering on the streets, because this scooter is made specifically for racing on the circuit. These scooter is called Vespa Monthléry which is a continuation development of Vespa Circuito 125 series produced a year earlier. 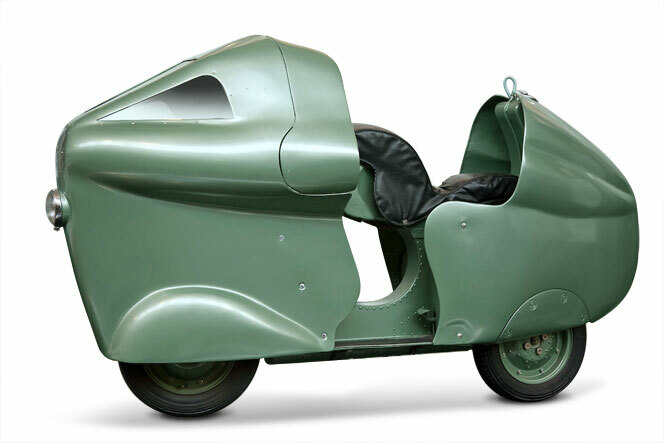 This unique scooter was born in 1950 and was indeed made special to rival the Lambretta Innocenti Special Model which at that time held 13 speed records on the Roma-Ostia highway. 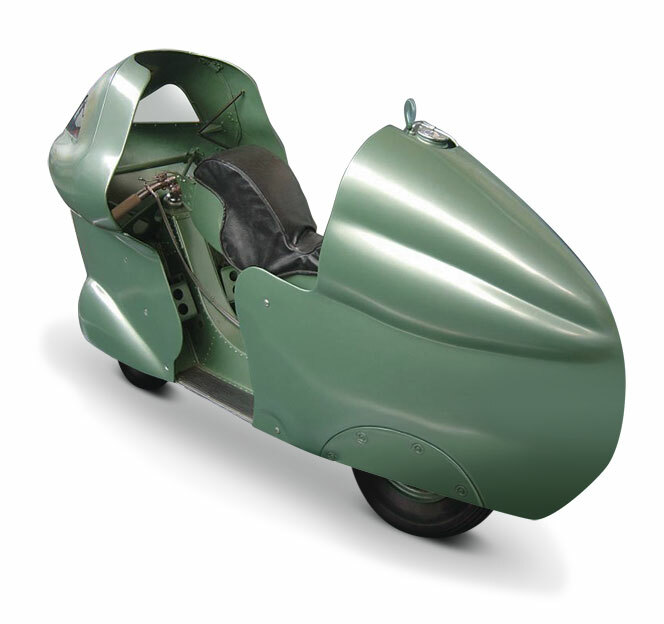 This scooter was designed by Corradino D’Ascanio (in other references mention was designed by Vittorio Casini) with much more perfect engine specifications and the use of an aerodynamic body that looked quite 'weird' in its time. Then, these scooter was carried for race in 10 consecutive hours at the Monthléry autodrome, France on April 7, 1950 piloted by a trio of tough riders Mazzoncini, Spadoni and Castiglioni. Sure enough, these Vespa Monthléry broke the Lambretta's records, by scoring 17 new records (and over 1,049 kilometers)! The new records that are achieved by these scooter include an average speed of 134 km/h with a mileage of 100 miles, 129.7 km/h at a distance of 500 miles, and an average speed of 123.9 hours for 1,000 miles non-stop. 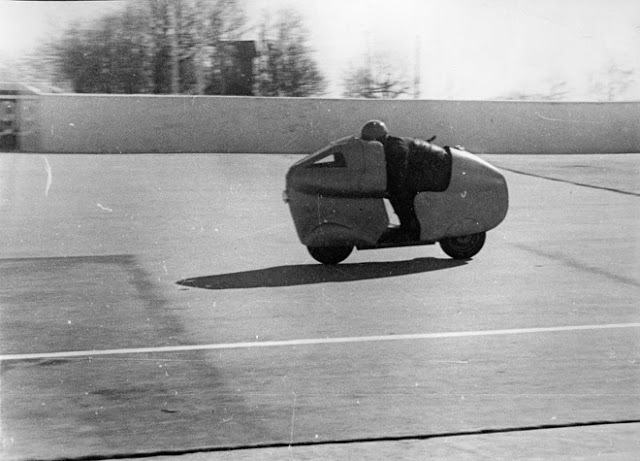 On a streamlined vehicle very similar to this (the 1949 Vespa 125 Circuit "alloy frame") with rider Dino Mazzoncini also performed brilliantly in track races, most memorably in the head-to-head between Vespa and Lambretta that took place on the Genoa Circuit (Corso Italia) and ended in a victory for Vespa in the motor scooter class. 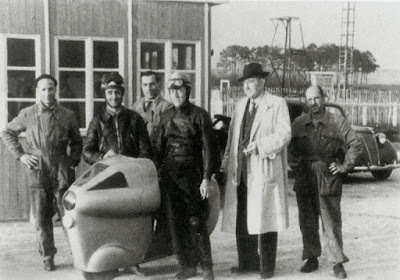 From here the development of the racing scooter variant by the Pontadera scooter manufacturer continues, where a year later they make Vespa Siluro that has a torpedo-like shape.